1. In these Rules:- "The G.A.A." 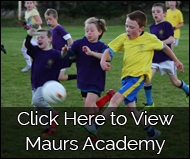 means the National Governing Organisation for the preservation and promotion of Gaelic Games and pastimes, known as the Gaelic Athletic Association. "The Club" means the Club has set out in Rule 2 hereof. "The Official Guide" means the Official Guide of the G.A.A.. "Executive Committee" means Officers and ordinary Committee Members together. "Secretary" means the Secretary for the time being, or any person appointed to perform the duties of the Secretary of the Club. "Real Property" means the property of the Club of an immovable nature, comprising any Playing Pitches, Grounds or Buildings, whether of Leasehold or Freehold tenure, with all Fixtures or Fittings attached thereto and used therewith. "Personal Property" means the property of the Club of a movable nature, comprising all Playing or Sporting equipment of the Club, as well as all Stock in Trade and Money or other Assets of the Club not already classified as fixtures or fittings on "Real Property", as heretofore defined. Words importing the singular number only, include the plural number and vice versa, and words importing the masculine gender only, also include the feminine and vice versa. 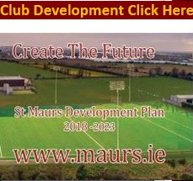 2.1 The official Name of the Club shall be An Cumann Peile agus lomanaiochta Naomh Maur, the English version of which shall be St. Maur's Football and Hurling Club. 3.1 The Objects of the Club shall be the promotion of the aims of the G.A.A., as outlined in the Official Guide. 3.2 The Membership, Income and Property of the Club shall be dedicated to and applied solely towards the promotion of these objects. 4.1The Club Colours shall be Maroon and Gold. 5.1.1 FULL, to persons, IA(ho having reached the age of eighteen years, subscribe to and undertake to further the aims and objects of the Club and the GAA ..
5.1.2 YOUTH, to persons, not having reached the age of eighteen years, who subscribe to and undertake to further the aims and objects of the Club and the GAA..
5.1.3 HONORARY, to persons, who have reached the age of eighteen years, have rendered exceptional service to the Club or the games or activities of the G.AA An Honorary Member shall have the rights of a Full Member, but shall be exempt from paying the Club's Annual Membership Fee. 5.1.4 SOCIAL, to persons, who have reached the age of eighteen years, subscribe to and undertake to further the aims and objectives of the Club and the GAA., but who do not seek full voting rights and rights to take part in the administrative affairs of the Club or the GAA ..
5.2 Full Members, Honorary Members and Youth Members of the Club will also become Members of the GAA ..
5.3 Once granted, Full Membership of the Club and the GAA. shall continue for life, unless the member has been expelled or his resignation in writing has been accepted, in accordance with this Constitution and Rules or the Official Guide. 5.10 If and when the Application for Membership has been accepted by the Executive Committee, the new Member's particulars shall be forwarded by the Club Secretary to the County Secretary or other designated Officer for submission to the Central Council of the G.AA for registration and allocation of a personal membership number. 5.11.1 The Executive Committee shall have the power to investigate any matter, and to expel, suspend, warn, fine or disqualify Members from Club activities for breach of this Constitution and Rules or the Official Guide or for conduct considered to have discredited or harmed the Club or the G.AA. 5.11.2 Such persons, if Full Members (including Honorary Members) or Youth Members, shall have the right to appeal to the Management Committee of the County Committee of the GAA., within seven days of being notified of such decision. 5.11.3 Unless the offence is brought to the notice of the County Committee of the GAA. by the Club, and that body, having considered the merits of the case and having regard to the rights of the player or member, confirms the penalty imposed, the member continues to be a legal member of the Association and is suspended from Club activities only. 6.2 The determined Annual Subscription shall be payable on election and there after annually, in advance of the date and in the manner decided by the Executive Committee. The date set shall be a date prior to August 1 st each year. 7.2 The Executive Committee shall be comprised of the Chairman, Vice-Chairman, Treasurer, Secretary, Registrar, one Players' Representative, and at least five other Full Members. 7.3 Nominations to serve on the Executive Committee shall be by any two Full Members whose membership fees are paid up to date in accordance with Rule 6.2 hereof. 6.2 and who are not suspended or disqualified under this constitution and Rules or the Official Guide. 7.4 The Players' Representative shall have participated as a player for the Club within the previous 48 weeks. 7.5 The Executive Committee including the Players' Representative, shall be elected by the Full Members present, entitled to vote and voting at the Annual General Meeting. 7.10 The Chairman, when present, shall preside over all meetings of the Executive Committee; in his absence, the Vice-C~airman shall preside. 7.17 The Executive Committee shall have power to nominate the Chairman of such Sub Committees. 7.19 The Executive Committee shall have power from time to time to make, alter and repeal all such Regulations as they deem necessary, expedient or convenient for the proper conduct and management of the Club, and in particular, but not exclusively, they may by such Regulations set out- (a) The terms and conditions upon which guests, children of members of the Club and visitors shall be permitted to use the premises and property of the Club; (b) The times of opening and closing the Pavilion Grounds and Premises of the Club, or any part thereof; (c) The conduct of members of the Club in relation to one another; (d) The setting aside of the whole or any part or parts of the Club's premises for any particular time or times, or for any particular purpose or purposes; (e) The imposition of fines for the breach of any of the Club Rules or Regulations. (f) And generally all such matters as are commonly the subject matter of the Club Rules. 7.23 A Special meeting of the Executive Committee may be called (a) by the Secretary or b) by the Secretary, for a date not more than seven days from the date of the receipt by him of a requisition duly signed by four members of the Executive Committee. (c) Such requisition shall'set out the purpose for which the special meeting is required. (a) Copy of the Agenda for the meeting. (b) Copy of the Annual Report of the Secretary. (c) Copy of the Financial Statements, including the Report of the Accountant (d) Details of the Nominations for election to the Executive Committee. (e) Copies of any motions for consideration at the meeting. 8.13 If there is no such Chairman, or if at any meeting he is not present within thirty minutes after the time appointed for the holding of the meeting, the members then present shall choose someone of their number who is a member of the Executive Committee to be Chairman of the meeting, and if there shall be no Member of the Executive Committee present, then the members shall elect anyone of their number to be Chairman of the Meeting. 8.15 Failure to comply strictly with the time limits set out in this Constitution and Rules or the non receipt of Notice of a Meetil)g by any persons entitled to receive notice shall not invalidate the proceedings at that meeting, but shall entitle the majority of members present to seek and be granted an adjournment of the meeting to such date by which they would be given an adequate time to be furnished with and consider the contents of any relevant documentation. 9.1 Full Members and those Members set out in 5.0 hereof, whose membership fees are paid up to date in accordance with Rule 6.2, and who are not suspended or disqualified under this Constitution and Rules or the Official Guide, shall be eligible to vote at a General Meeting. 9.3 At any General Meeting a resolution put to the vote of the meeting shall be decided on the show of hands, unless, before or on the declaration of the result of the show of hands, a ballot is demanded:- (a) by the Chairman (b) by at least five members present and entitled to vote. 10.1 The Club shall have power to acquire, hold and develop, sell, lease, mortgage charge, exchange or sell Real and Personal Property, and to borrow or raise money in promotion of the objects of the Club, subject to the overall authority of the Central Council of the GAA..
10.2 The Real Property shall not be leased, mortgaged, charged, exchanged, sold, conveyed, transferred or otherwise dealt with without the consent of the Central Council of the GAA., or as may be set out in any separate Declaration of Trust. 10.3 The Real Property, including the proceeds of sale thereof until otherwise directed by the Club, shall be vested in five full members of the G.AA as Trustees, who shall hold same in trust for the Club. 10.4 In the case of the appointment of the Trustees of the Real Property the Executive Committee shall select three persons, who shall then be appointed by the Chairman for the time being as Trustees, and the Chairman for the time being of the Provincial Council of the GAA. and the Chairman for the time being of the County Committee of the G.AA shall each, as required, appoint one other Trustee. 10.5 The Trustees shall hold office until the retirement or death, unless replaced in accordance with Rule 43, Official Guige. 10.6 By way of acceptance of their appointment the Trustees of the Real Property shall sign a Declaration of Trust, as approved by Central Council of the GAA., and which shall contain the provisions for appointment, removal and replacement of Trustees as well as regulating the conduct of the Trustees in performing their duties and exercising their powers under the trust. 10.7 The Trustees of the Real Property, having first obtained the consent of the Central Council of the GAA. where necessary, shall exercise their powers and perform their duties as directed by the Club from time to time. 11.2 The Executive Committee shall cause proper Books of Account to be kept in respect of:- (a) All sums of money received and expended by the Club, and the matters in respect of which such receipts and expenditures take place; and (b) All Sales and Purchases of goods by the Club; and (c) The Assets and Liabilities of the Club. 11.4 The Executive Committee shall from time to time determine whether and to what extent and at what times and places, and under what conditions and regulations, the Accounts and Books of the Club, or any of them shall be open to the inspection of Full Members of the Club not being an Executive Committee member, and no member (not being an Executive Committee Member) shall have any right of inspection of any Account or Book or Document of the Club except as authorised by the Executive Committee. 11.7 The Financial Statements shall be approved by the Executive Committee, and signed by two of three Officers - Chairman, Secretary, Treasurer - on behalf of the Executive Committee. (a) reasonable and proper remuneration to any Member or Officer of the Club for any services rendered to the Club (other than as an Officer); (b) reasonable and proper remuneration to any company of which a Member or Officer of the Club is a director or shareholder, for any services rendered to the Club; (c) interest at a rate not exceeding 5 per annum on money lent by Officers or other Members of the Club to the Club; (d) reasonable and proper rent for premises demised and let by Officers or other Members of the Club (including any Officer) to the Club; (e) reasonable and proper out of pocket expenses incurred by any Officer in connection with their attendance to any matter affecting the Club; (f) fee's, remuneration or other benefit in money or money's worth to any Company of which an Officer may be a member, holding not more than one hundredth part of the issued capital of such Company. 13.3 If upon such Winding Up, there remains, after the satisfaction of all its debts and liabilities, any property whatever, the same shall not be paid or distributed amongst the members, but the Trustees shall continue to hold same in trust for the appropriate County Committee of the G.A.A., to be used or disposed of as such County Committee shall direct, but shall in no instance payor distribute such property amongst Officers, Members or Employees of the Club. 17.4 This Constitution and Rules shall be taken as an amendment of and in substitution for any existing Constitution and Rules of St, Maur's G.A.A. Club as of the 3rd day of December 2007.